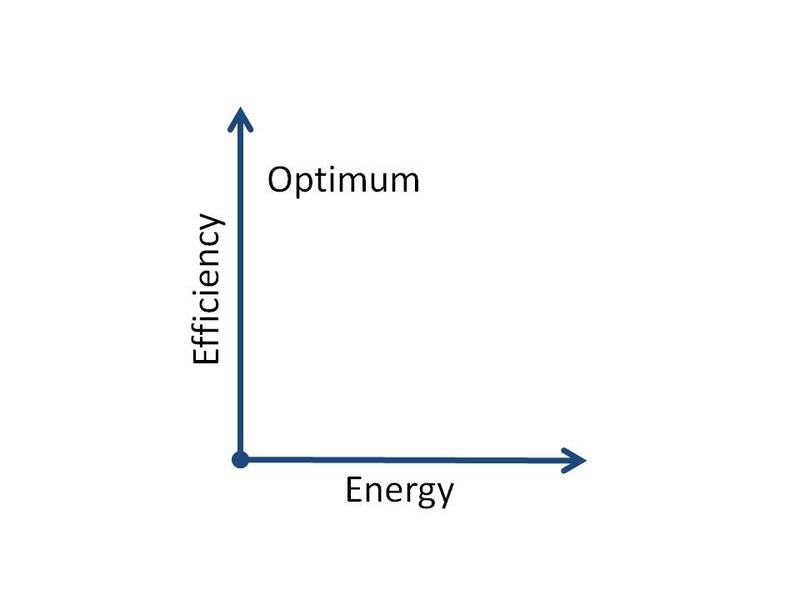 With Efficiency on the y-axis and Energy consumption (aka Cost) on the x-axis, our optimum location is the top left. 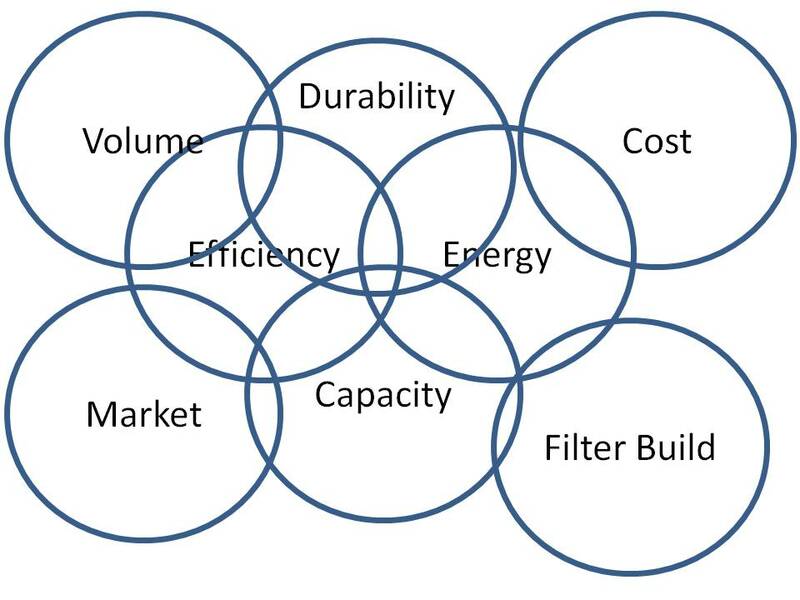 When we are working with a customer to design a new porous material, the first two criteria we often look at are (1) the efficiency (how much of the particulate are we going to capture, usually expressed as a % [1 – penetration%]) and (2) the resistance caused by the material as the filtrate flows through the filter. (2) is often expressed as pressure drop, air perm or flux, but it is really an expression of the energy, or cost, of filtering the material. 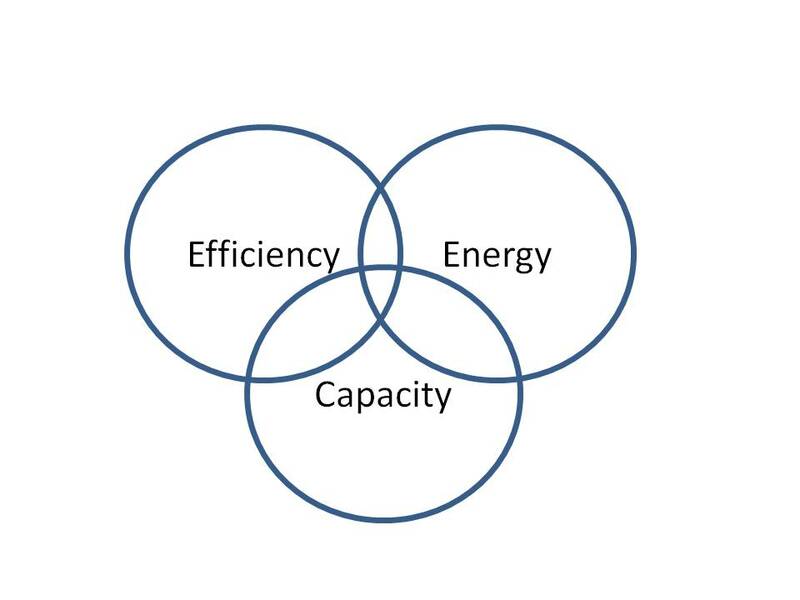 Make Efficiency and Energy as our first two criteria – Capacity (or life) is usually the next one on the board. How much of the material am I going to catch? How much am I going to spend to catch it? Most of the time this performance can be detected with a flat sheet – in some filtration applications you can do it with a very small 2 cm circle. As you begin to scale the application to move to prototyping the element and eventually into field trials, all sorts of other constraints begin to emerge, some are known and can be anticipated, but many are not. Let’s ignore commercial constraints for now. 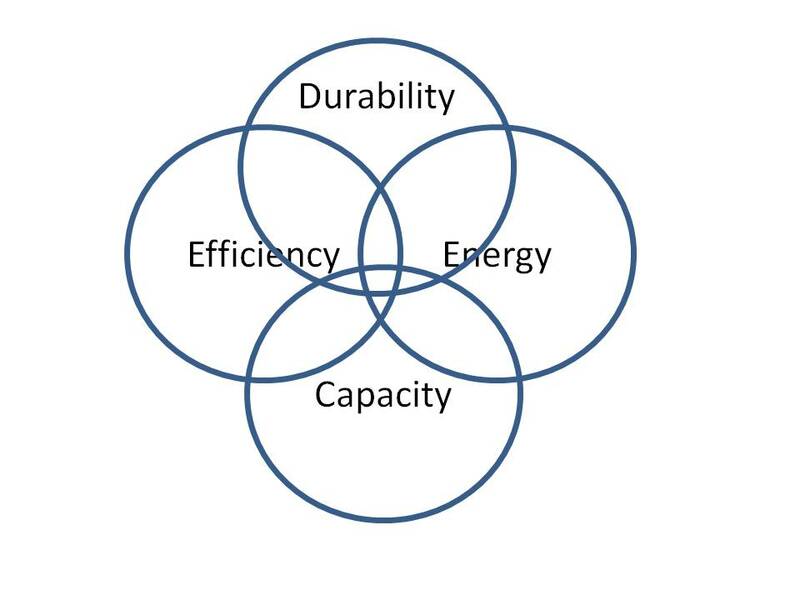 Environmental durability is often a crucial component in media selection – but our Venn diagram is getting ugly. What is the capacity of the media? How many grams per square meter of the filtrate can it hold? Does the material maintain its properties when converted into a filter? Can it survive the thermal and mechanical stresses of a pleating process? Are there unique environmental challenges? Is the environment highly acidic, humid, or do we even know what kinds of particles we will encounter? How does the material handle through the conversion process? Lastly, we need to know if the flat sheet porous material behaves the same way in that end product that it did when we began. Changing the macro structure of some materials will change their end performance. There are very few spaces where our criteria overlap – none where we hit all of the needs. We’ve slowly moved from a nice, classic Venn Diagram where we hope to find an overlapping space to one in which there are many materials constraints. This gets even more complex when we stop ignoring the commercial side of the equation and begin to layer in market concerns, such as annual volume, cost and other market needs. This entry was posted in Industry, Innovation, Materials Science, Textile. Bookmark the permalink.